If you suffer from the somewhat mysterious but very real affliction known as fibromyalgia in Webster or Rochester, just getting through the day may be all but impossible. This collection of aches, pains and other uncomfortable symptoms can affect body and mind alike, impairing your ability to work, play and even sleep. The good news is that fibromyalgia patients in the Rochester and Webster areas can get safe, drug-free, all-natural relief for their suffering from our experienced chiropractors (Dr. O'Dell and Dr. Bonczyk) here at O'Dell Family Chiropractic. It is often difficult to pin down a specific cause of fibromyalgia. This syndrome, which strikes women more often than men, may have a genetic component; some cases develop gradually, while others appear following a specific incidence of musculoskeletal trauma such as a car accident injury. Fibromyalgia is associated with low serotonin levels and abnormalities, increases in a substance known as substance P, and changes in the brain's management of stress hormones. The overall result is a heightened physical and emotional sensitivity to pain. Ideally, any cause of physical pain or dysfunction should be treated as early as possible. But waiting until you meet all the official diagnostic criteria for fibromyalgia may draw out your suffering needlessly. The current diagnostic protocol that register pain in at least 11 specific tender points on the body -- which can be hard to evaluate, since tender points can come and go. Additionally, your pain must continue for 3 months before obtaining an official diagnosis. But the nice thing about chiropractic care with our doctors in Rochester and Webster, is that we can treat your symptoms right away by addressing any underlying musculoskeletal and neurological issues that may be contributing to them. 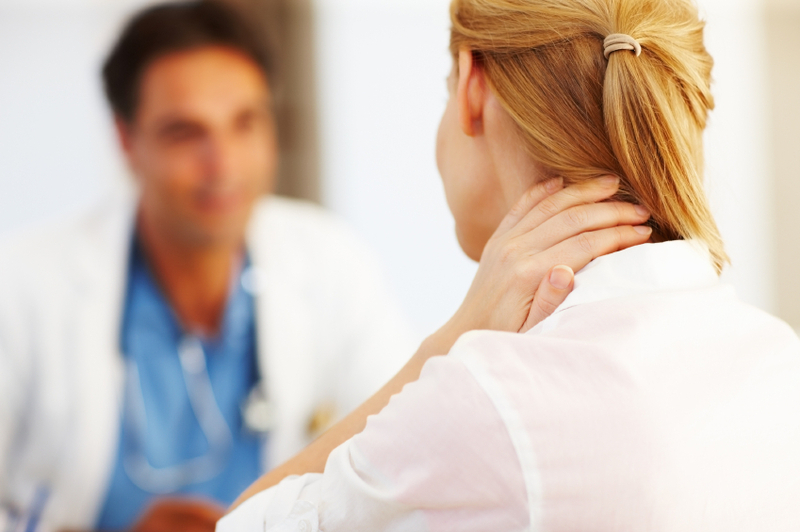 Our chiropractors at O'Dell Family Chiropractic can help you manage your fibromyalgia. For instance, if you have a chronic hypersensitivity to pain, you may have an exaggerated response to nerve impingement or muscular strain brought on by a spinal misalignment. We perform detailed-X-rays to help us identify and correct those discomforts. Spinal stenosis, a narrowing of the bony canal that encircles the spinal cord, is another issue that sometimes appears alongside fibromyalgia. Chiropractic adjustment and/or spinal decompression from our Webster and Rochester chiropractors can relieve the pain caused by this condition as well. Other therapies are also useful for managing fibromyalgia symptoms. We may prescribe massage therapy to relieve painful muscle knots (and promote restful sleep), or corrective exercises to keep your muscles loose and flexible. Contact us at 585-671-9210 for an appointment so we can create your personalized treatment plan!